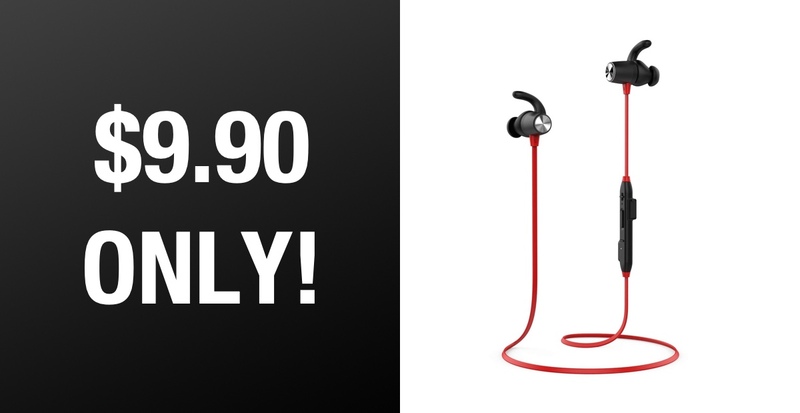 We are extremely excited to be able to offer you a pair of Dodocool noise-cancelling in-ear headphones for the stunning price of just $9.90. Yes, for less than the price of two cups of blended frappuccino from your local Starbucks you could have a pair of performant Bluetooth 4.1 wireless headphones. Many individuals who need personal audio are starting to move across to truly wireless options, such as the expensive AirPods offered by Cupertino-based Apple Inc. And there is absolutely nothing wrong with that if that type of product suits your needs and you have the finances available to spend $150.00+ on headphones. However, most music and audio lovers who simply want something lightweight and lasting are more than happy to opt for a product of this nature. And this new price simply sweetens the deal. This product comes with Bluetooth 4.1 to ensure that the headphones pair with streaming devices extremely easily. That means that most smartphones, tablets, desktops, and laptops are going to be able to pair with these headphones from a distance of up to 33-feet. 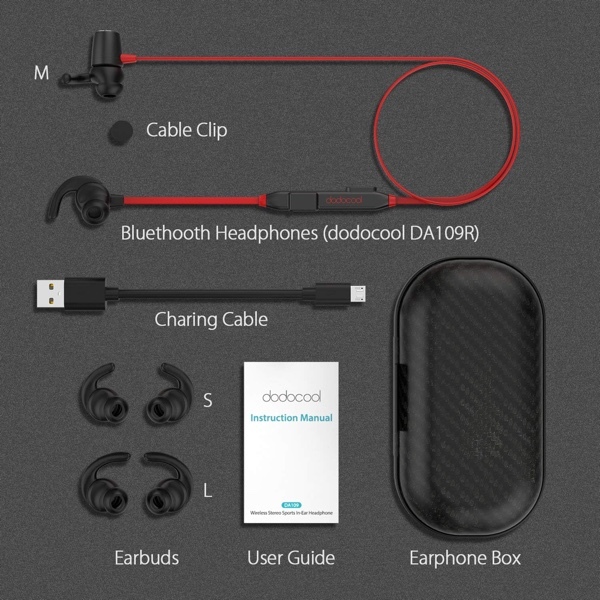 Once paired, the device is charged with streaming music to the Dodocool headphones while the headphones will be tasked with delivering true high-definition sound to the wearer. The manufacturer has also bundled noise-cancelling functionality into this hardware so you, as the wearer, can truly focus on the music rather than any external or environmental sound. Given the lightweight and highly portable nature of these headphones, owners should find that they are perfect for all types of activities. This could simply be sitting at your desk working or pounding the tarmac in the rain getting in those miles whilst tracking your latest run via Strava with your best beats playing in your ear to feed your motivation. A full battery should also be good enough for up to 9-hours worth of playback, which is absolutely perfect for anyone who is capable of exercising for anywhere near that length of time. A great set of lightweight headphones for a ridiculously low price. You’d be insane not to snap these up, right now!